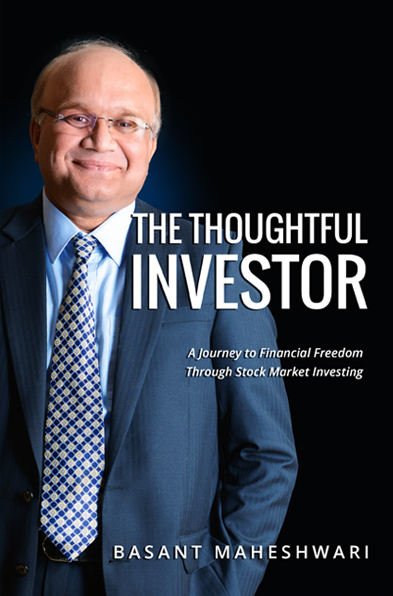 The Book ‘The Thoughtful Investor‘ is written by Basant Maheshwari who is an well known investor in the Indian Equity Markets and runs a PMS fund. In the Book, Basant traces his journey as an investor, highlighting the mistakes he made on the way and the lessons learnt.I particularly enjoyed reading about his investments in Pantaloon Retail and Voltas. The Book is written very crisply with numerous examples from the Indian Context which makes it for a very engaging read. I would strongly recommend this book for all serious investors in the Indian markets. Very unorganised book,very costly also .